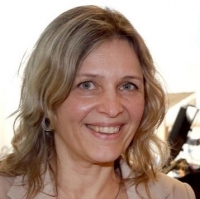 Claudia Girardone is Professor of Banking and Finance at Essex Business School of the University of Essex. She is also Director of the Essex Finance Centre (EFiC) and the School’s Director of Research. Since 2015 she is a Visiting Scholar in the Competition and Impact Assessment Team within the Bank of England’s Prudential Policy Directorate. Professor Girardone has published over 50 articles on various aspects of banking and finance in books and peer-reviewed international journals. She is a co-author of the textbook Introduction to Banking (FT Pearson Education, 2015). She is currently on the editorial board of several journals including the Journal of Financial Economic Policy and The European Journal of Finance. Her current research areas are on banking sector performance and stability, bank corporate governance, the industrial structure of banking and access to finance.